Kathleen should have taken it as a wake-up call. She found out from social media that her high school friend, an avid reader and brilliant writer who had become a high school English teacher, married, had a child and as far as she know lived a happy life, had just died…of cirrhosis. Cirrhosis is a severe liver disease that often kills people who drink too much alcohol over too long a period of time. Looking at pictures of her old friend, bloated, red-faced, and clearly unwell, she saw all the signs she’d read about too many times. She got notes from her friends saying they knew he drank too much but didn’t realize how dangerous it was. Unfortunately, Kathleen continued to sip her vodka… straight, at six in the morning. She was on another binge. They had both just turned 35 – or he would have – had alcohol not killed her friend. It was a few years later, after several failed attempts at achieving sobriety, that Kathleen started to see the terrifying signs. Liver damage doesn’t often show itself until it’s far advanced. That makes it one of the scariest possible effects of long term excessive drinking. It’s a silent killer, and by the time you realize something’s wrong, it can be too late to reverse the damage. She was bruising easily, vomiting, had lost her appetite. Her once strong body was weak and doing daily errands was exhausting. Yet as her anxiety grew her drinking escalated. She was out of work and couldn’t see a way that things could ever get better. In a panic, she called a hotline late at night and happened to reach a man who had survived cirrhosis. After four decades of drinking, he had been at death’s edge…until he had a liver transplant. He talked her down from the ledge, went calmly through the possibility, and talked with her about ways to get safely abstinent again. Kathleen got her blood tests – yes, they were bad, but not too, too bad. Her doctor ordered an ultrasound (a non-invasive medical test that shows detailed images of internal organs) just to be on the safe side, given the liver values and history of heavy drinking. The ultrasound came back normal. “Get your blood work done again in three months,” said the liver specialist, who was surprisingly non-judgmental after Kathleen had been brutally honest about her long drinking history. One of the reasons she had shied away from medical treatment earlier was a long, sad memory of being treated cruelly, even brutally, by medical professionals who were suffering from the same stigma towards people with substance use problems that plagues so much of our society even now. By this time, Kathleen felt like a cat who had just lived her eighth life. And she wasn’t going to give up on the ninth. Next step: reaching out to friends who were successful in abstinence and establishing some social support. Next stop: getting healthy food at the grocery store to build back up her vitamin stores. It was hard to keep down food, even when abstinent, because her nausea was also a symptom of chronic her chronic anxiety and post-traumatic stress disorder. 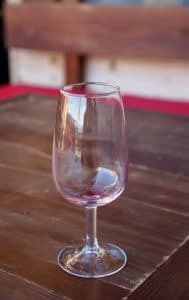 She had read the statistics: people who drink a liter of wine a day, eight standard beers, or about a half a pint of hard liquor a day for 10-20 years are more likely to get cirrhosis, and about 10 – 20% of heavy drinkers develop this deadly disease. 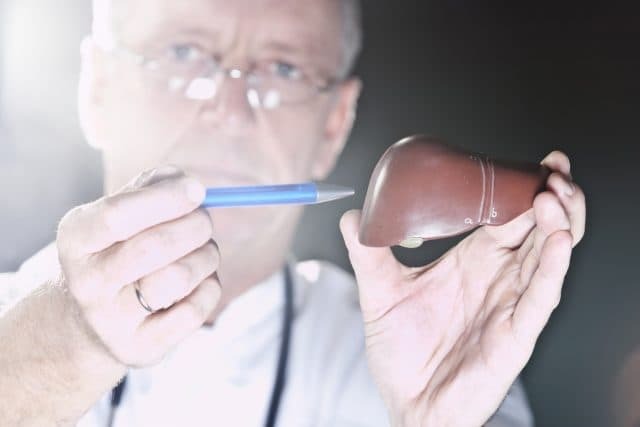 Other levels of liver disease start earlier – inflammation, scarring, and fatty liver disease – all of which make it more difficult for the liver to perform its essential function of purifying the things we consume and keeping us safe from toxins, such as alcohol. Unfortunately, Kathleen had more than 10 years of heavy drinking behind her. Not every day, and with periods of moderation or abstinence thrown in there, but enough to make her scared. Women develop liver disease more easily than men for the same reason why they seem to get intoxicated more quickly: they metabolize alcohol differently. She was also experiencing some symptoms of liver disease. Nausea, vomiting, a distended abdomen, fatigue and easy bruising with bruises and cuts that seemed to heal more slowly. She had intense itching – a sign of liver disease – but she also often got that from stress. Obsessively, she looked in the mirror, checking her eyes for jaundice, a yellowing of the eyes and skin that comes about with liver failure. Her abdomen hurt, and she wondered if it was from just throwing up or from liver damage. As she turned to more people in recovery for support, Kathleen found out that many, many people had gone through liver scares while becoming abstinent. Our anxiety is high in early abstinence and can be through the roof during alcohol withdrawal, so it’s not surprising that every bruise seems to be a harbinger of impending death! The support she received made it easier not just to handle her fears and make rational plans for appropriate medical tests and care, but to avoid reaching for a drink to take away the pain, if only for one moment. Oddly, after just a few days, her anxiety had calmed down. She began to feel what so many in recovery attribute their ability to maintain their health to: gratitude. Gratitude that she had stopped in time. Gratitude that she had found someone who was also in recovery and had survived the worst: near liver failure, only to be saved by a transplant. “Some poor guy died to save me,” he had told her. Now he was enjoying a healthy life with his wife and grown up children, living every day in gratitude. One thing Kathleen knew was that when she went for her first round of liver enzyme tests, they would show abnormal values because she had been drinking a great deal. Elevated liver values go down after about eight weeks of abstinence, but her doctor ordered repeated tests a few weeks after the first set and the a few weeks later, just to make sure things were headed in the right direction. An ultrasound made it clear that no serious damage had already taken place. Her doctors decided to do no further procedures but to monitor her blood work and support her in her abstinence from alcohol, the only real way to stop liver disease progression. A liver biopsy can help determine the stage of liver damage, if the cause is alcohol or multiple causes, and if liver cancer may be present. In addition to abstinence from alcohol, eating a nutritious diet is essential for liver health. Many who drink too much stop eating and become malnourished. At the same time, obesity is to be avoided as it can add to complications of liver disease. The same healthy diet of vegetables, healthy amounts of fat, Vitamin E, fresh food, and limiting salt and eating out applies to keeping your liver healthy. Paying special attention to your diet is a reasonable response to a liver disease scare or diagnosis. It also helps, in that inevitable moment when people criticize you for turning down a drink, a dessert, or skipping happy hour in favor of a workout, to say (honestly!) that your liver needs a break! Avoiding medicine that causes liver damage is essential as well. Most people don’t know that Tylenol (acetaminophen) can cause or worsen liver damage and should be avoided by anyone who consumes alcohol frequently or to excess. Kathleen’s story had a happy ending. She remained abstinent, renewed her interest in nutrition and carefully monitored her diet, increased her exercise and achieved the best health of her life. More importantly, she found that the combination of abstinence from alcohol, a healthier lifestyle, and finding meaning in helping others with similar struggles, brought her lifelong anxiety (that started years before she took her first drink and continued to keep her in a downward spiral for many years) to an all time low. Feel free to read up on more great information at the American Liver Foundation.